Anyone interested in participating in this swap, please leave a comment below. Each group will have 5 participants, each will email me their snail mail to be distributed to the group rather than post here publicly. On the postcard, please say a little something about yourself and a way to get a hold of you - Twitter, email, Facebook, blog name - as much or as little as you are comfortable revealing. Remember, postcards are like an invitation to peak... I know they get read along their way to you. Be funny, sweet, informative, whatever strikes your fancy. Keep the postcards 2 dimensional since they have to travel. 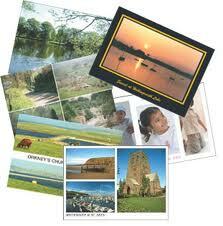 Decorate blanks or pick up postcards of your local destinations for share with your pen pal. I'll do it I've got history all around me I actual have a castle just round the corner, not sure if I can get a postcard of it but I'll think of something. I would love to do this! How fun! Thanks Natasha. Could you share with us where you are from so I can add that next to your name on the list. Count me in :D I love snail mail and I collect postcards!! I am in! Great idea! I'm in....love the idea. I have been collecting postcards forever. Hi Natasha! Please count me in! I'm so loving this idea! I live in Las Vegas,NV! I had also PMed you my info on you tube,(my snail mail & that I wanted to do this). Thank you again & yay, what fun this is going to be!! I think it will be exciting to get mail from somewhere else in the world! Hey Natasha, Post Card swap sounds like a lot of fun !!! Please add me i'd love to join. Youtube name: Hottiekaylie89 I'm subbied to you. I watch all of your videos, this seems to be easy to start off with. I can be reached at lisaarial@gmail.com. Oh sorry Natasha I'm from Florida USA & my email is KaylieVulpis@yahoo.com & idk how to message you on here so i'll message you on youtube with my address ?! lol. & how will i know where to mail the post cards to ? Its Nicole Swanson from Minnesota USA. My email is Swanson.Nicole@hotmail.com otherwise I have a youtube profile. I am really just trying to sign up once, but have left messages in three different places. Please sign me up my email is Linparent@yahoo.com and I live in S Carolina. I LOVE making new pen pals and making postcards ! Names Melody , I am from Aloha Oregon . my emails is: Leosmom4@yahoo.com ! Please count me in! I live in northern Louisiana, USA. I am sure I can find some great post cards here! I love this idea! Thanks Natasha! Oh yeah, Marie from Louisiana!lol! Natasha, I can find your email address to send you my address. What should I do. My email is mbsparozic@yahoo.com. I would love to do this, Natasha!!!! I am in texas..can I join please..
Hi there! This sounds very cool. My name is Kristen and I'm from Michigan. I'll PM you my email address. This will be a first for me sounds like fun. I sent you all my info on your Utube PM. Leslie from Florida. Is the post card swap still on? We are on hold for a few weeks, I want to make sure everyone is included and with the wonderful response I need a bit more time to organize. Hi Natasha! I have read this post and caught up on the comments. I think I am on the same page now lol!! How in the world did I miss this before? ?